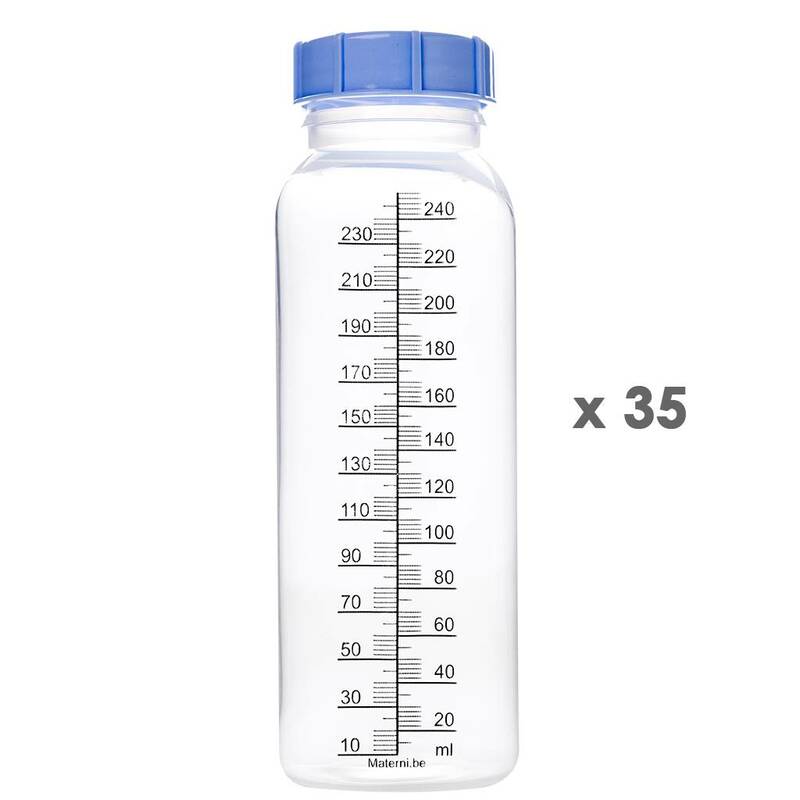 35 Reusable 240 ml bottles with screw cap. 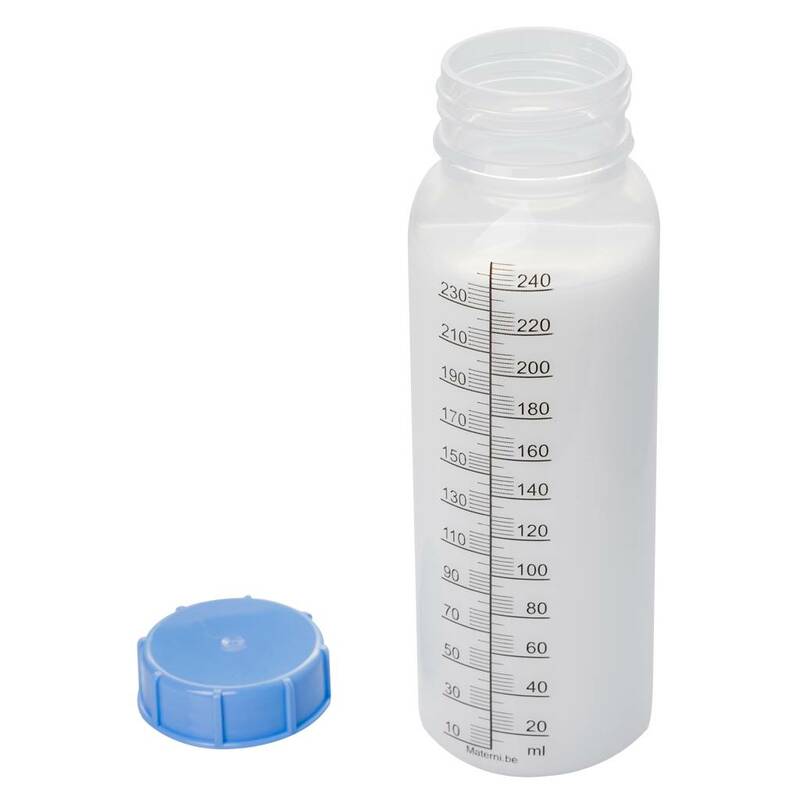 o Also suitable for use as a container when expressing and storing breast milk. 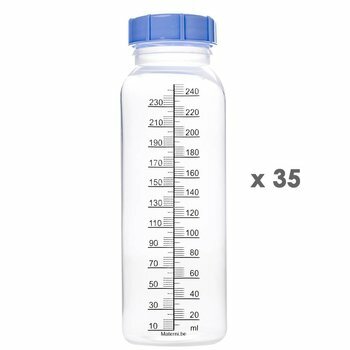 o This bottle is suitable for most widely used breast pumps (Medela, Ameda, Ardo) and can be closed with a single twist movement when finished. o Suitable for breast milk and infant formula. o Microwave, freezer and dishwasher safe.